How Has the Student/Teacher Relationship Changed In Your Lifetime? Providing inspiration to continue a personal practice is one characteristic of a great teacher. 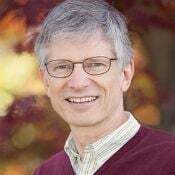 Discover other facets of the teacher/student relationship from the spiritual director and president of the Himalayan Institute, Rolf Sovik.